Happy LGBTQ+ History Month! Every October is celebrated as LGBTQ+ History Month to recognize and educate about people, places and events that have had an impact on the LGBTQ+ Community. All month we are going to honor some influential athletes, companies, organizations and sports figures who have made a contribution toward LGBTQ+ History. Otto Peltzer (B. 03/08/1900 D. 08/11/1970) was a German world champion and Olympic track and field athlete. Specializing in middle distance he had set world records in the 800m, 1000m and 1500m Track events at various competitions during the 1920s. Nicknamed “Otto the Strange” he was known for his eccentric personality and quirks as well as always seemingly at odds among the authorities (German Athletic Board, German legal system, Nazi Government). As a child Peltzer suffered from various illnesses including heart problems, hip inflammation and a weak immune system that made him prone to infectious diseases. He did not begin to focus on athletics until he attended university in Munich. From there he joined the track team and became more involved leading physical fitness groups. He eventually was awarded his PhD in 1925. His first time-trail against local track stars showed that he had quite the talent for running and moved to Berlin to train more seriously. He excelled in the sport and quickly moved up the ranks, leading to a national championship in the 1500m. After WWI Germany was barred from competing at the 1920 and 1924 Olympic Games, a special race was organized for Otto against the champions Paavo Nurmi of Finland, Edvin Wide of Sweden and Herbert Bocher of Germany; Otto won the race and established a new world record. 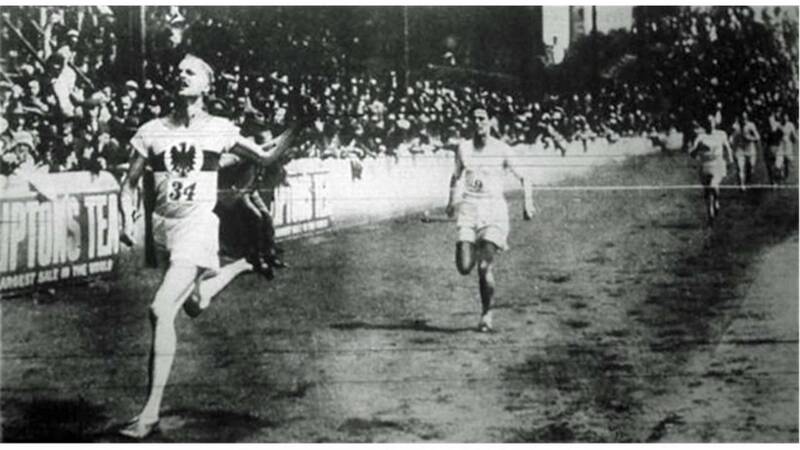 Otto did not make his Olympic debut until the 1928 games in Amsterdam which almost did not happen either when Peltzer injured his ankle in late 1927 putting his running at risk. Fortunately he recovered in time and competed, however failed to make the finals in the 800m or 1500m. He continued training and competing and made the Olympic team again for the 1932 games in Los Angeles where he won a bronze in the 800m. Peltzer joined the Nazi party in 1933 to develop his teaching career, 18 months later he was arrested under Paragraph 175 which ruled homosexuality as a criminal offense and was imprisoned. His sentenced was reduced when he agreed to give up further involvement in sports and fitness. He continued to coach track in secret until he was caught and subsequently arrested again in 1937. He was exiled from Germany shortly thereafter and settled in Sweden at the beginning of WWII. In 1941 Peltzer returned to Germany under the promise that the charges against him would be exonerated. However he was arrested (again) and sent to the Mauthausen-Gusen concentration camp where he survived until the camp’s liberation in 1945. After the war Peltzer continued to live in Germany but his opportunities to establish a career as a coach were limited and eventually ceased all together. He was a track consult for a German newspaper at the 1956 Olympic Games in Melbourne but was at odds with Carl Diem and the German Athletics Association. Peltzer was pursued by the German authorities for homosexuality was still considered a criminal offense. This lead him to New Dehli, India where he found a job coaching track for the National Olympic Youth Athletic Club. His passion and dedication to his athletes led him to become a legend in India where his training methods and accomplishments are still recognized today. The athletic club he coached was eventually renamed as the Otto Peltzer Memorial Athletic Club in honor. After spending 8 years in Dehli, Peltzer suffered a heart attack and returned to Germany for treatment. He spent the last 3 years of his life as a coach before a final heart attack in 1970. It’s been said he died with a stop watch around his neck. Follow us on social media (Facebook, Twitter, Instagram) and the hashtag #LGBTSportsHistory to learn more and keep up to date! We will also be linking all of our articles here, check it out!